The dictionary describes a maverick as a person who thinks and acts in an independent way, often behaving differently from the expected or usual way. In the US among ranchers, a maverick is a calf or young cow that is yet to be branded or have its owner's mark burned onto it. Until then, no one claims ownership. In politics, mavericks are known and admired for their “nobody owns me,” unconventional ideas and groundbreaking strategies; born out of a personal conviction that theirs is a better way to lead, compete and succeed. Whether you call them unconventional, exceptional, extraordinary, innovative or even trailblazers, political mavericks lead differently because they have a burning desire to challenge and disorient the status quo in a progressive manner. These rule breakers; indeed they “break many rules,” always stick to their guns. No school or university teaches the skills of a maverick leader where you can learn or acquire these. Maverick skills are innate in a leader because they are always forward-looking and forward thinking. They only obey their own instincts, intellects, and focus to the point where they can be described as non-conformist. Mavericks are the independent performers whose quirky ideas enable them take delight in the fact that they shake things up; sometimes spinning things on their heads. Mavericks are known to get what they want; Are influential at most levels; Have the support they need; and are recognized for their expertise and talent. They achieve success in novel and unorthodox ways. Thanks to the maverickism of His Excellency, Sen. Ibikunle Amosun, Ogun State gubernatorial politics, today, is in the midst of a “shake-up,” that is leaving many at a quandary. Ever since he announced his intention to support a Yewa candidate to succeed him, he has remained relentlessly resilient at defending his decision. No one can fault him this. Please recall that when he assumed office, Ogun State was in the midst of political chaos and turmoil. Governor Gbenga Daniel and his executive was involved in an internecine crisis with the State’s House of Assembly which led to the House of Assembly, Mace in-tow, holding sessions everywhere but the premises of the House. Governor Amosun returned the political landscape in the State to sanity and normalcy. That so-much cherished peace he is not about to lose for any reason. Naturally, the defining characteristics of the maverick reside in the talent, and in Amosun’s instance, one can add the artless sincerity in the tone of his activities; all aimed at ensuring and sustaining not only the legacies he will be leaving behind but their continuation towards the progress of Ogun State. He is promising the indigenes of the State that a “whiz-kid” would replace him; what a phenomenal decision! If the word in the grapevine is correct, he is tapping his present Chief of Staff, Chief Tolu Odebiyi, a man of unquestionable pedigree, to take-over from him in 2019. Chief Tolu Odebiyi, to remind my readers, is the son of late Chief Sen. Jonathan A. O. Odebiyi, whose curriculum vitae can briefly be summarized as follows: first Principal, Egbado College, Ilaro; House Majority Leader, Western Region House of Assembly; Minister of Education, Western Region where he implemented the now famous free primary school programme; Minister of Finance, Western Region; Senator in the first and second Republics; Founder, Eyinni High School, Ibadan, and many other such accomplishments. 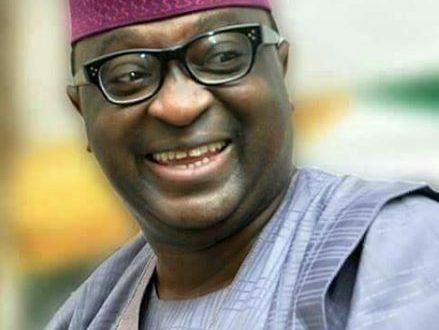 His mother was Mrs. Odebiyi, the INEC Resident Election Commissioner for Lagos State in the 2003 general elections when, as a result of PDP political shenanigans, all incumbent AD Governors in the southwest geo-political zone were swept out of office with the exception of Lagos State. There, Mrs. Odebiyi refused to be compromised and Bola Ahmed Tinubu emerged as the sole surviving AD Governor. With such epitomes of human decency, service to community, state, country and humanity as parents, how could Governor Amosun be wrong in throwing his support behind his Chief of Staff. It is an unprecedented move in the annals of party politics in Ogun State and the Governor deserves all and any commendations for his deep thoughts over the choice. Again, if Chief Odebiyi gets the nod, Governor Amosun deserves a lot of kudos because he will be following in the footsteps of Lagos State where a Chief of Staff, Babatunde Raji Fasola replaced his boss as Governor. Fasola hit the ground running, building on the foundations laid by his boss thereby ensuring the transformation of Lagos State into the mega state that it has now become. Hopefully, Tolu Odebiyi will replicate this in Ogun State to Ogun indigenes’ delight. To many, what Governor Amosun is doing may seem awkward, he is ignoring the rules in a fantastically brilliant way and for the betterment of the State. He is being an effective leader by deliberately being a maverick; creative and innovative in all circumstances. Governor Amosun has clearly shown that when given the opportunity, it is right to create and produce something to show to others besides the “traditional” work he does on a daily basis. God helping him, this extraordinary side of Sen. Ibikunle Amosun will shine through. As Alan Kay said in the opening quote: “The best way to predict the future is to invent it!” Governor Amosun is about to invent a fantastic future for Ogun State. So bless him, Allah in this quest! Yewa Lokan O! Tolu Odebiyi lo ma se e! Iboro l’anlo!